Naturally occuring arsenic may be found in well water in some parts of Hunterdon County, in NJ. Arsenic occurs naturally in soil and bedrock in many parts of the country. Hunterdon County, New Jersey is one of these areas. It has no smell, taste, or color when dissolved in water. It doesn’t degrade in water. Even in high concentrations, only laboratory analysis can determine its presence and concentration in water. It is a toxic element that is a known human carcinogen proven to increase the risk of adverse health effects in people who drink water containing it. The major exposure is from drinking and cooking. There may also be some exposure during bathing, showering, brushing teeth, etc. 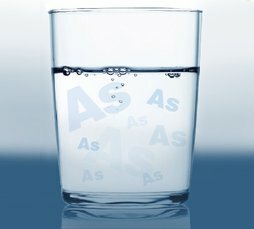 Research by the NJ Geological Survey (NJGS) indicates that arsenic in New Jersey well water is predominately naturally occurring. This is due to natural rock formations that contain large reservoirs of this element.